Where is Banksy ? Did Our Fave Street Artist Disappear Again? It seems that Banksy has disappeared again. We haven’t seen any of the artist’s activities for months. Do not think we believe something happened, or that there is some reason for sorrow. No, he has probably decided to take a break and contemplate about his future adventures. Whatever the reason for his sudden “disappearance” is, we will have to wait for some time, and soon we will probably see another masterpiece. However, we have to pose a simple question: Where is Banksy ? We could trace Banksy’s recent activities, and maybe it could help us to locate him and realize what he is up to these days and weeks. Of course, even though he is (apparently) currently not active these months, his works are as popular as ever on the art market. 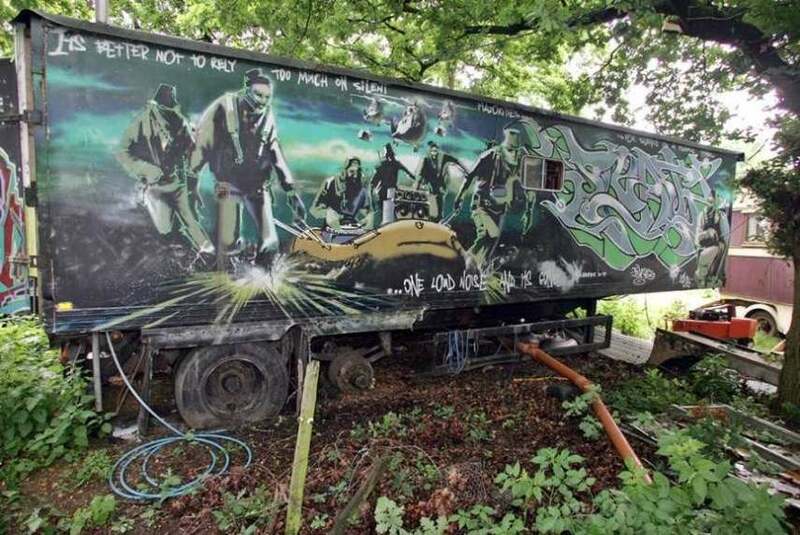 There were rumors in the past few years about Banksy being arrested, however it turned up to be a false news. One of the latest Banksy’s activities took place in Gaza Strip, in February 2015. He created several pieces there, and it was his first recorded activity after almost a year. These Gaza activities were typical for Banksy. First, Gaza is a territory that is completely isolated from the rest of the world, devastated during Israel-Hamas conflict from 2014. Creating street art in such place is inherently political, which is one of Banksy art’s main characteristics. Second, Gaza strip is (according to many) a place where people are oppressed and often subjugated to devastating violence, a place of a struggle between powerful and powerless. This proved to be one of the most important motifs in Banksy’s work. Indeed, his Gaza activities were widely recognized, both for aesthetical and political reasons. As usual for Banksy, a controversy was raised over selling his Gaza artworks for unreasonably low prices. Doing Fine on Art Market, but Where is Banksy Now ? 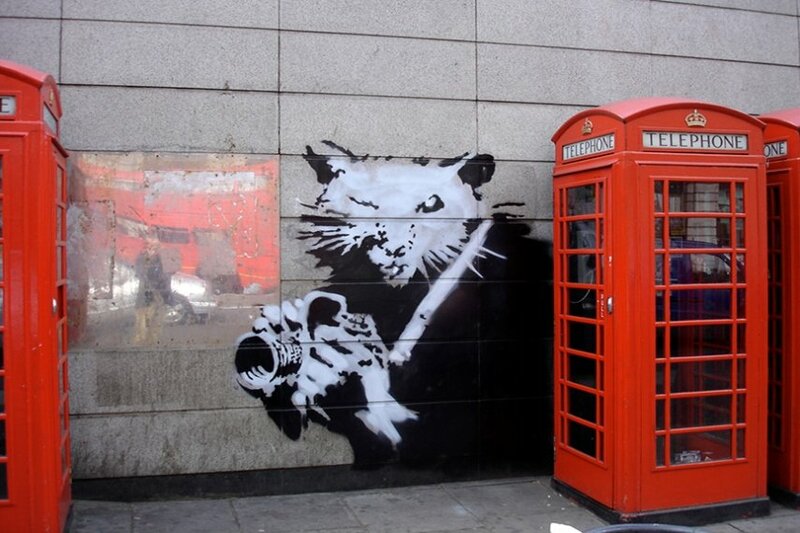 It is well known that Banksy is quite critical towards art markets, particularly towards auction houses. Nevertheless, his artworks are very popular among collectors. Ever since his Bombing Middle England was sold at Sotheby’s auction house in London, in 2007, for over £102,000, his work have been increasingly popular, particularly at auctions sales. 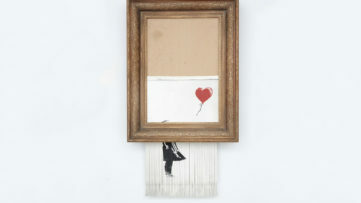 In the last few weeks, we saw some remarkable results achieved at auction houses during the sale of Banksy’s works. 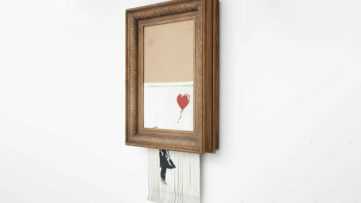 During Editions and Works on Paper auction at Dreweatts & Bloomsbury London that took place on June 30, 2015, all 11 Banksy’s auctioned works were sold, and six of his sold pieces were in top 8 of lots that had exceeded expectations. At Contemporary Art Day Sale Auction that took place at Phillips, London, on Wednesday, June 30 2015, his Love is in the Air (AKA Flower Thrower) was sold for $172,789, Not a bad period for his works on art market. 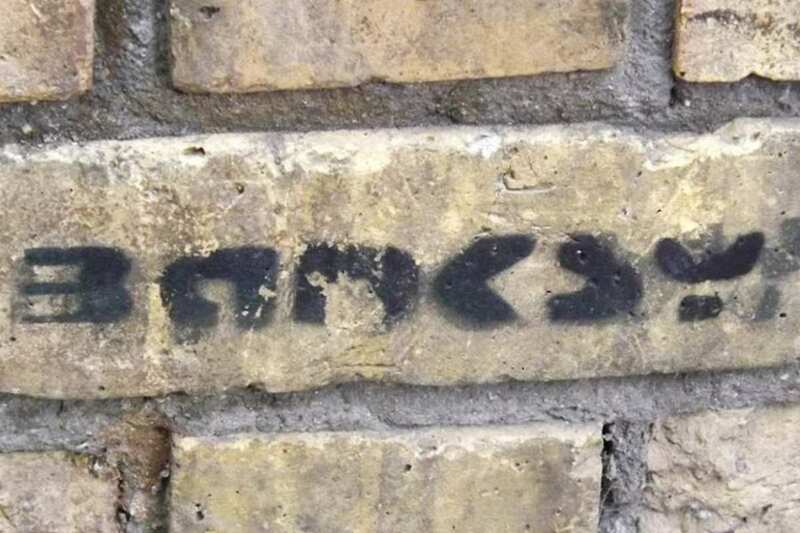 This is not the first time Banksy disappears. In 2013, he wasn’t active for months. It was late October 2013 when he began a one-month “residency” in New York City, known as Better Out Than In. It’s not unusual for Banksy to disappear for a while. Since his identity has never been reveled (unless you believe some newspapers articles), we may guess that he is on holiday (maybe sunbathing right next to you), or maybe he is in some metropolitan area, creating a piece that will soon be revealed. Nevertheless, we hope it won’t be a long wait before the walls see another one of his brilliant artworks..
Sign up for Widewalls, it’s free! 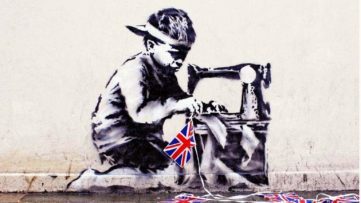 Follow our news; we might expect a new piece by Banksy in near future!